Moritz Simon Geist is a performer, musicologist, and robotics engineer. 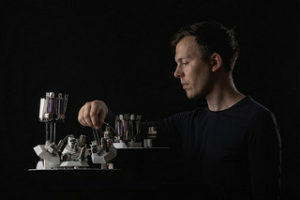 He started because he wants to invent the future of electronic music – with robots! Geist’s projects range from robotic music performances to robotic sound installations. 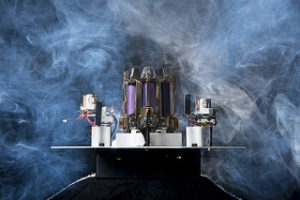 His robotic instruments and performances have been shown in numerous European festivals and exhibitions throughout the last years. He collaborates with performers such as Mouse on Mars or Robert Lippok and teaches on the progression of technology and society at the NYU Berlin. He was awarded numerours internation awards. His background is both as a classical musician and a robotics engineer, with an expertise in prototyping technologies and 3D-Printing.